Sixteen presentations were offered to all 865 attendees (both in-person and online from 15 offices across the United States), with smaller, in-person only learning sessions held throughout the day. In addition to enhancing employees’ professional development, offering up to seven Continuing Professional Education (CPE)/Continuing Education Units (CEUs), the event was also centered on increasing cyber capabilities awareness and building opportunities for collaboration. Executive Vice President Bill Phelps, Booz Allen’s commercial market lead commented, “BoozCon was a tangible demonstration of the breadth and depth the cyber skills we provide to our clients.” As a result, Booz Allen indicated that it has already seen several instances, across geographic locations and markets, where teams identified opportunities to collaborate to bring new capabilities and value to clients. 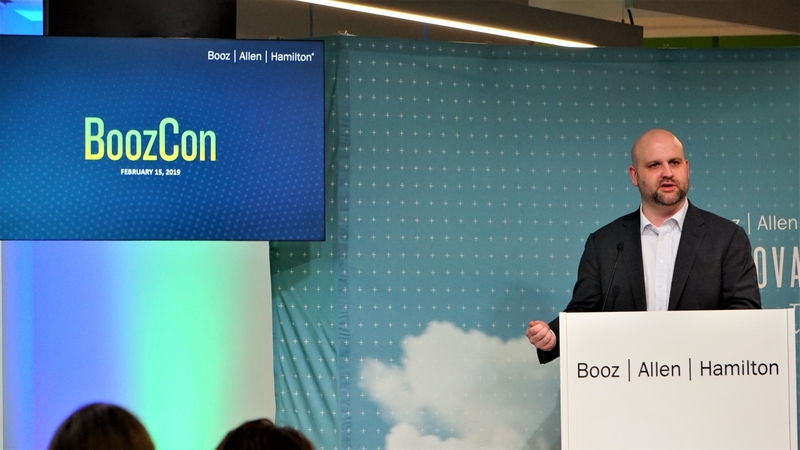 “[Booz Allen] taking the time to plan an event like this in several different cities around the country not only demonstrates our technical expertise, but also the firm’s willingness to foster a nation-wide community around cyber,” observed Brianna Hogan, a cloud security engineer at the firm. In addition to training sessions, BoozCon’s keynote featured a Chief Information Security Officer (CISO) from the pharmaceutical industry. The company’s CISO presented on a recent cyber incident and how they addressed crisis management, recovery, and subsequent resiliency activities. Read more about Booz Allen's cybersecurity practice, here.